The Cordeillan-Bages restaurant – member of the “Grandes Tables du Monde” – takes you on a gastronomic journey of wine and innovative haute cuisine curated by its new Executive Chef, and lover of terroir, Julien Lefebvre. 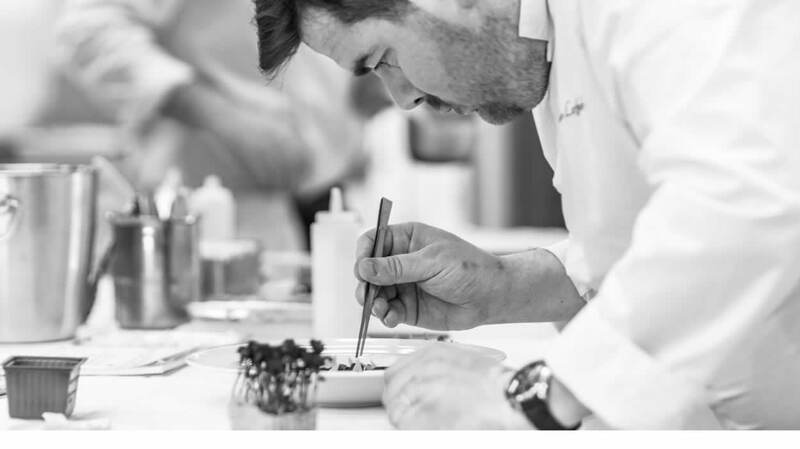 Executive Chef at Château Cordeillan-Bages since April 2017, Julien Lefebvre is no stranger to hard work: the 35-year-old gourmet from Normandy also handles catering for the group Famille JM Cazes. The owners were instantly won over by his bold dishes made from tasty local ingredients. He is passionate about French cuisine and enjoys embellishing his dishes by producing plates that are genuine works of modern art. After working with Mathieu Pacaud at the Parisian restaurants Hexagone, Histoires and Le Divellec, Julien Lefebvre came to sample a slice of Bordeaux life, taking over the reins from two of the great names in French cuisine: Thierry Marx and Jean-Luc Rocha. While all his food reflects the Médoc way of life, “Shellfish” are his true signature dish. Visit the restaurant before mid-November to sample Chef Julien Lefebvre’s new menu.